CBE-36 : Battery Eliminator for for Alinco DJ-190, DJ-191, DJ-G5, DJ-X10 radios, etc. 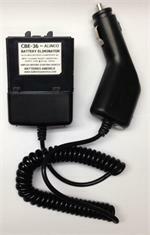 CBE-36 : Battery Eliminator for Alinco radios. Fits DJ-190, DJ-191, DJ-G5, DJ-X10, DJ-X2000 etc. Plugs into 12-13.8VDC socket. 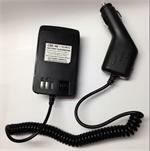 Enables high-watt mobile operation from a vehicle or portable 12v power pack. 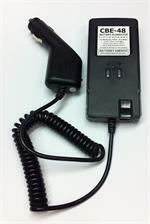 CBE-48 : Battery Eliminator for ALINCO radios. Fits DJ-193, DJ-195, DJ-196, DJ-197, DJ-493, DJ-496, DJ-596 radios, etc. (all worldwide versions).